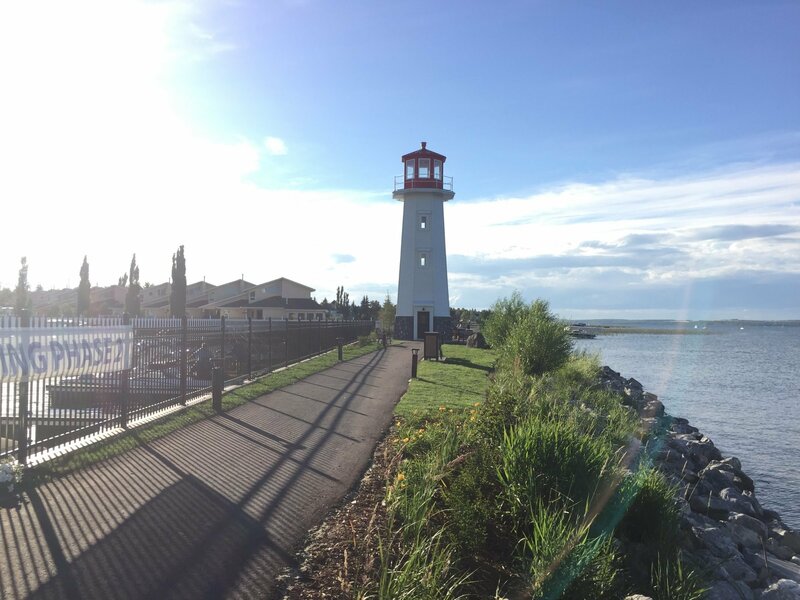 Located in Central Alberta, 25km west of the City of Red Deer Sylvan Lake is situated on the southeast edge of a 15 kilometre long freshwater lake. The lake is a popular destination for tourists from around Alberta, with over 1.5 million visitors each year. Popular tourist activities include sunbathing, swimming, water-skiing & visiting the new Lighthouse on Lakeshore Drive. Interested in learning more about Sylvan Lake real estate? Simply continue reading for more information or start your search by browsing our listings below! 202 Properties Found. Page 1 of 5. Jump start your Sylvan Lake home search by registering with us! You'll be granted access to exclusive listings and we'll send you notifications when homes that meet your search criteria become available. Winter, spring, summer or fall, Sylvan Lake is the perfect place to call home. A town for all seasons, this community offers residents an outdoor lifestyle unlike any other. Situated just west of Red Deer, this community is a popular tourist destination in the summer. Homes for sale in Sylvan Lake range in pricing from the low $100s to $2 million, promising a property for every budget. Whether you're searching for your first or family home, a vacation property, a retirement residence or anything in between, you'll love the selection of Sylvan Lake homes for sale. Sylvan Lake real estate comprises a pleasing selection of single-family homes, townhomes and waterfront estates. These residences are anything but ordinary. It's easy to see that Sylvan Lake homeowners take great pride in their property. The homes are clean, immaculately maintained and older homes feature elegant updates. From new appliances and carpets to granite, quartz and laminate countertops, homes for sale in Sylvan Lake are move-in ready. Sylvan Lake homes are as diverse as they are beautiful. From craftsman-style homes to colonial influences to West coast style log cabins and everything in between, these residences will appeal to every architectural preference. As you can tell, Sylvan Lake real estate is large, progressive and perfect for both growing and established families. With a population of just over 14,000, Sylvan Lake is growing quickly with new developments and subdivisions already pushing dirt. Check out Sylvan Lake for its great opportunities, schools, and its housing inventory. Start searching to find pristine lake front properties, acreages and unique homes that are sure to impress. For a quick link to a Google map of all schools click here! Get in touch to start your Sylvan Lake home search today. Or simply call 403-396-7355.